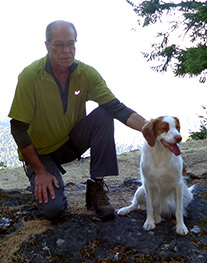 Brian is a Canadian resource-management consultant living on Saltspring Island. He read and commented on several drafts of Time One, each of which he says provided no end of thought and reflection, especially while on a long walk with dog Sophie. It's a mystery novel, and a very good one, but that's not what you have to think about. It's great. It's provocative. It gets my brain going.